Q: On the eve of Pyeongchang Winter Olympics, the DPRK and the ROK sent several positive messages to each other in the last few days. Just yesterday, the two sides reopened the Panmunjom hotline. What's your comment on this? A: We've noted the recent positive tendency in the situation on the Korean Peninsula and the positive moves by the DPRK and the ROK, as well as the heightened attention this has drawn from the international community. China has all along believed that the efforts to improve inter-Korean relations through dialogue and promote reconciliation and cooperation by the DPRK and the ROK serve the fundamental interests of the two sides. They are also conducive to deescalating tensions on the Peninsula, advancing the denuclearization of the Peninsula and promoting regional peace, stability and security. 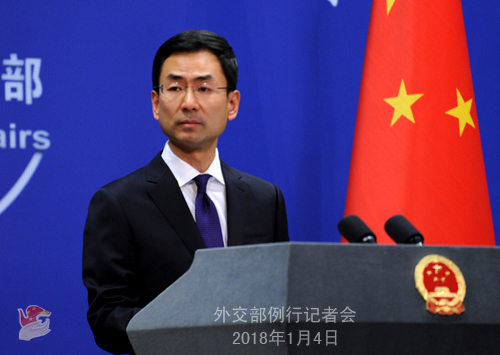 China welcomes the recent concrete efforts made by the DPRK and the ROK, hopes the international community will support this, and encourages all relevant parties to do more to ease tension and enhance mutual trust. Q: According to ROK media reports, Chinese and ROK chief representatives to the six-party talks on the Korean Peninsula nuclear issue will hold a meeting in Seoul tomorrow. Can you confirm that? A: Vice Foreign Minister and Special Representative of the Chinese Government on the Korean Peninsular Affairs Kong Xuanyou will travel to Seoul from January 5 to 6 to hold consultation and exchange views on the situation on the Korean Peninsula with ROK Special Representative for Korean Peninsula Peace and Security Affairs and chief representative for six-party talks Lee Do-hoon. Q: We have noted that China released the information on Premier Li Keqiang's attendance at the 2nd Lancang-Mekong Cooperation Leaders' Meeting and official visit to Cambodia. How does China evaluate the current Lancang-Mekong cooperation? What are China's expectations for Lancang-Mekong cooperation going forward? A: Lancang-Mekong Cooperation (LMC) is the first sub-regional cooperation mechanism that is jointly planned, built and shared by all the six countries in the Langcang-Mekong region. On March 23, 2016, the First Lancang-Mekong Cooperation Leaders' Meeting was successfully held in Sanya, Hainan, where Premier Li Keqiang along with leaders of the five Mekong River countries jointly launched the LMC process. With the concerted efforts of six countries, the LMC has made remarkable progress over past less than two years. As its institutional building continues to improve and practical cooperation is being accelerated, the LMC has now become one of the most dynamic cooperation mechanism with the greatest development potential in this region. China and Mekong River countries are linked by mountains and rivers and enjoy cultural affinity, economic complementarity and shared future. We hope the LMC platform will enable China and other countries to set out on a path of sustainable development that features economic prosperity, social progress and beautiful environment so as to bring more benefits to people of countries along the Mekong River. Under the guidance of the spirit of the 19th National Congress of the Communist Party of China, China will faithfully follow through on the idea of amity, sincerity, mutual benefit and inclusiveness and the neighborhood diplomacy policy of taking neighbors as friends and partners as set by President Xi Jinping and work with Mekong River countries to ensure the success of the 2nd LMC Leaders' Meeting. We will draw up the blueprint for future development in an all-round way, move Lancang-Mekong Cooperation from the period of fostering to growing, build the Lancang-Mekong economic development belt and a community with shared future of Lancang-Mekong countries. Q: The central bank of Pakistan has said in a statement that Pakistanis and Chinese public and private sector enterprises are free to choose Chinese Yuan for bilateral trade and investment activities. What are your comments ? A: Since the central banks of China and Pakistan signed a bilateral currency swap deal in 2011, our currency cooperation has continued to deepen. At present, various forms of trade and investment cooperation between China and Pakistan are developing in an in-depth manner. We encourage market players of the two countries to settle bilateral trade and investment in local currencies and welcome Pakistan's relevant measures. We are convinced that this will provide enabling financial conditions for China-Pakistan bilateral trade and investment cooperation and the building of the China Pakistan Economic Corridor. Q: With regard to Premier Li Keqiang's visit to Cambodia, we know that this year marks the 60th anniversary of the establishment of diplomatic ties between China and Cambodia. How would China perceive the current bilateral relations? 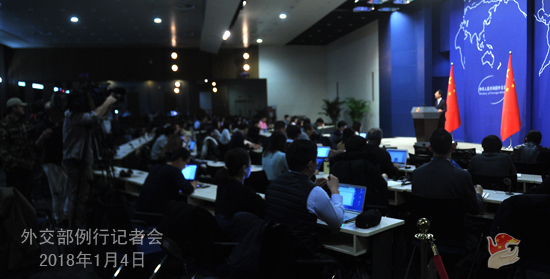 Do you have any expectation for Premier Li Keqiang's visit? A: China and Cambodia are good neighbors, good friends, good partners and good brothers. Since the establishment of diplomatic ties 60 years ago, the two countries have continued to enhance mutual political trust, deepen mutually beneficial cooperation and witness increasingly active cultural and people-to-people exchange and closer coordination in multilateral affairs. China-Cambodia relations have brought tangible benefits to the two countries and two peoples, made positive contributions to peace and development of this region and the world at large and become a model for state-to-state exchanges. China is satisfied with the substantial progress in our bilateral relations. Premier Li Keqiang's visit takes place at the very beginning of the 60th anniversary of the establishment of diplomatic ties between China and Cambodia, and the development of bilateral relations are facing a rare opportunity. 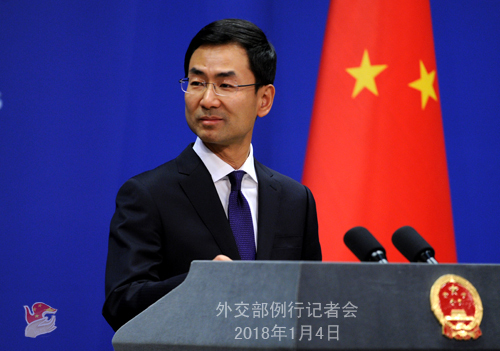 China expects that the leaders of the two countries will exchange in-depth views and reach important new consensus on further consolidating our traditional friendship and deepening across-the-board practical cooperation, scale the China-Cambodia comprehensive strategic cooperative partnership in the new era to new heights and bring more benefits to the two peoples. We believe with the concerted effort of the two sides, this visit will surely be a full success and achieve expected outcomes.